Infused with this irrepressible nonagenarian's wisdom, courage, and generous spirit, and filled with sixteen pages of color photographs, Driving Miss Norma reminds us that life is beautiful and precious, and that family, fun, and self-discovery can happen at any age. When Miss Norma was diagnosed with uterine cancer, she was advised to undergo surgery, radiation, and chemotherapy. But instead of confining herself to a hospital bed for what could be her last stay, Norma - newly widowed after nearly seven decades of marriage - rose to her full height of five feet and told her doctor, "I'm ninety years old. I'm hitting the road." Packing what she needed, Norma took off on an unforgettable cross-country journey with three professional nomads - her retired son Tim, his wife Ramie, and their Standard Poodle Ringo - in a thirty-six-foot RV. Driving Miss Norma is the charming, infectiously joyous chronicle of their experiences on the road - a transformative journey of living life on your own terms that shows us that it is never too late to begin an adventure, inspire hope, or become a trailblazer. As this once timid woman says "yes" to living in the face of death, she tries regional foods for the first time, zip-lines through a former stranger's yard, and reaches for the clouds in a hot air balloon. With each passing mile (and one educational visit to a cannabis dispensary), Miss Norma's health improves and conversations that had once been taboo begin to unfold. Norma, Tim, and Ramie bond in ways they had never done before, and their definitions of home, family, and friendship expand. Stop by stop, state by state, they meet countless people from all walks of life - strangers who become fast friends and welcome them with kindness and open hearts. We never even had time to unhitch our Airstream from the truck. Three days after we had pulled into the driveway, Leo lay on his side in the fetal position in a hospital bed, his organs failing. The Fentanyl patches he was using to control his unbearable back painthe result of what we eventually learned was a compression fractureapparently pushed his body chemistry out of whack, and the doctors could not bring it back to order. He appeared so uncomfortable and alone. Norma was smaller than she had ever looked, dwarfed by the reclining hospital chair next to Leo's bed. She was silent. Tim crawled into bed with his dad, spooning him. I handed him a damp cloth, and he used it to gently wipe Leo's brow. Repeatedly, Tim told him, "It's okay, I'm going to take care of Mom. I love you. Everything is going to be okay." In the telling of this remarkable story, Bauerschmidt and Liddle complement each other beautifully. Tim isn't keen on the publicity Norma's receiving, telling Ramie that he's a private guy, and it shows  his writing is sometimes stiff, tentative. But he grows into it, turning a few phrases nicely along the way, such as being "full of grateful determination" when on the way to pick up their new RV to begin the journey. Liddle, on the other hand, mines the depths of their ever-shifting emotions, becoming the guiding light for our own feelings about this stage of life for Norma. And all the time, Norma is the sparkling life of these pages, which transforms those who ride along. (Reviewed by Rory L. Aronsky). Depicting the ageless human capacity to learn and grow, the author celebrates life and offers a heartfelt vision of what dying a good death really means. An uplifting and life-affirming memoir. Starred Review. Tim, Ramie, and Norma's travels are joyful and moving…Norma's willingness to be fearless and open to whatever comes her way…offers profound insights into how we choose to live. Starred Review. This is a delightful chronicle of a family determined to celebrate life rather than dread death, and everyone can learn from their courage. When Norma joined her son Tim Bauerschmidt and his wife Ramie Liddle on the road, Tim was 57 years old. "Ramie and I had been able to retire early because of many years of frugal living, our lack of debt, and forgoing having a family," he writes in his memoir about his mother, Driving Miss Norma. "We always drove older vehicles and almost never splurged while we were on the road." 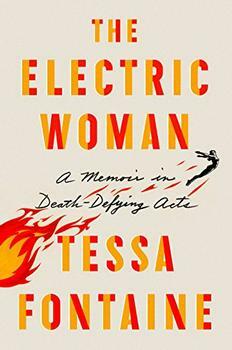 Tessa Fontaine's astonishing memoir of pushing past fear, The Electric Woman, follows the author on a life-affirming journey of loss and self-discovery - through her time on the road with the last traveling American sideshow and her relationship with an adventurous, spirited mother. 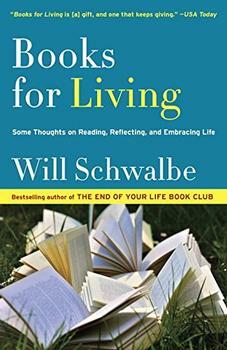 From the author of the best-selling and beloved The End of Your Life Book Club - a wonderfully engaging new book: both a celebration of reading in general and an impassioned recommendation of specific books that can help guide us through our daily lives.